A week off for boys and directors gives us time to celebrate. Teachers who support Houston Boychoir by believing in their boys who love music and trusting enough to refer. We thank you, we know how hard you work and we are partners. Thank you for keeping the music playing on! Christ the King Lutheran Church thank you for your gift of house and home. St. Martin’s Episcopal Church, Dave Henning and the music, thank you for believing and cherishing. Thank you artist, friend and parent Louise who makes our face for the world to see. Thank you ground troops, directors and accompanists with the Prep Choir and Mr. Sink your love is showing. Thank you parent volunteers who drive, wash clothes, fit ever wiggling arms and legs for length of pant and sleeve, who publicize and spread the good name of Houston Boychoir, who plan and agonize along with the directors, who question where do we go from here. The boys who come weekly or twice weekly through rain and wind and mountains of homework to lift their voices in song and color our lives with humor and music. Thank you Business Leaders and Supporters, Bulls Eye Storage, CypherDesignStudio, Houston Arts Alliance, Kelsey Seybold Clinics, KUHF Radio, Parker Uniform, Pierpont Communications, Texas Children’s Hospital, Texas Commission on the Arts, Dr. James Hoyle and Nancy Sims. Thank you Board of Directors for your due diligence and devotion, thought and creativity. Make Houston Boychoir part of your celebration. Join us for one or all of these events. 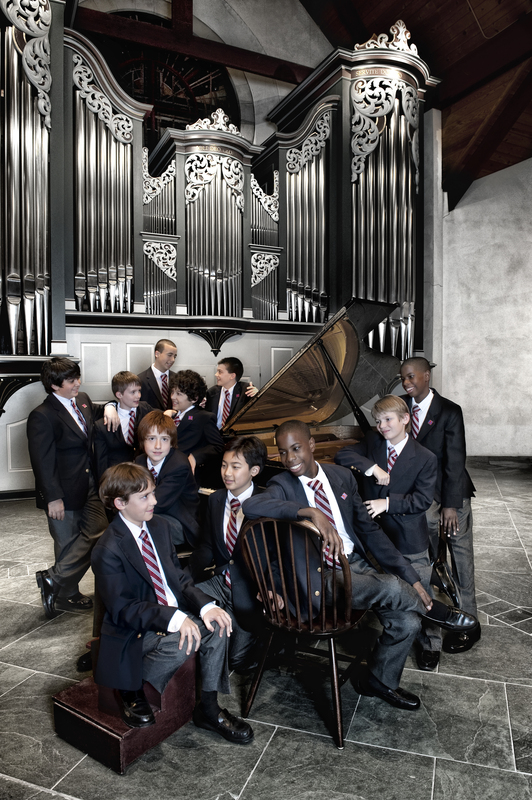 Hear Houston Boychoir as guests of the Bay Area Chorus! Voices from the past and present are woven together in performances of original compositions and arrangements of traditional carols as we celebrate holiday traditions from around the world. The stunning beauty and fabulous acoustics of the concert venues is sure to enhance your enjoyment of our annual holiday concert season. Hear the angelic voices in the historic St. John’s Church reminiscent of an old fashioned Christmas. Bayou Bend Collection and Gardens, 1 Westcott St. Candlelight Open House tours allow visitors to experience the holiday glow of Bayou Bend in the evenings. Take a first floor tour of the collection while docents in each room explain the holiday decorations and traditions. Relax outside with a cup of hot cider as the Houston Boychoir serenades with many of your holiday favorites. Start your holiday by joining joyous voices fill the air with happiness and holiday cheer. This annual tradition will feature an array of voices from the very small to the very tall, from boys to men.